If you’re searching for a Land Rover dealer near me, you’re in the right place! At Land Rover Albuquerque, we’re proud to provide local shoppers with a wide variety of top-notch Land Rover vehicles. However, that’s not all we do at our dealership. We go above and beyond for our customers by providing all the services you need to have an enjoyable and streamlined car-buying journey. Below, you’ll find more information about who we are and our many helpful services. Read ahead to learn more and contact us with any questions that arise! 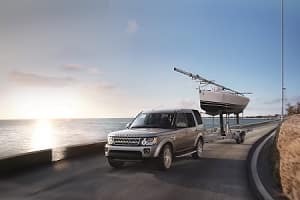 At our dealership, we keep our new vehicle inventory stocked with a variety of Land Rover models to give you the selection you need to find exactly what you’re searching for. No matter what’s on your next-car wish list, we’re confident that our knowledgeable sales team will be able to pair you with the perfect Land Rover. They’ll sit down with you to learn about your lifestyle and personality. Armed with this knowledge, they’ll help you navigate our extensive inventory and handpick models and trims that would be a great fit for your needs. Maybe you need a vehicle that’s big enough for the whole family and provides an optional third row, such as the Land Rover Discovery Sport. This model not only offers the space you need, but also the efficiency you want for both commuting and long adventures out of town. Or, maybe you’re looking for something that offers a bit more power for an exciting drive. Those who are looking for something like this will enjoy our lineup of Range Rover SUVs, which sport both high-powered performance and a stylish yet handy interior. 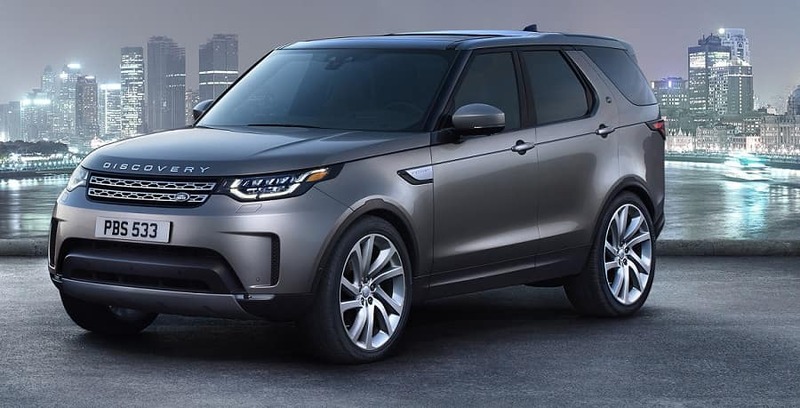 In addition to the many new Land Rover cars we have in stock, we also offer a wide selection of pre-owned and certified pre-owned Land Rover models. These vehicles are put through rigorous quality assurance inspections to ensure that they meet our high “like-new” quality standards. Once you’ve picked out the perfect Land Rover for you and decide that you want to take it home with you, our sales team will introduce you to our friendly finance team. This team of finance experts will walk you through the next step of your car-buying journey. You’ll work one-on-one with our expert finance team who will give you an overview of your many financing options. Then, they’ll learn what they can about your budget and lifestyle in order to zero in on a finance plan that would fit your exact needs. No cookie cutter finance plans here—we want you to drive off the lot in your new Land Rover feeling confident about your payment plan. In addition to this helpful team of individuals, we’re proud to offer our customers a wide range of helpful finance tools. These free online tools can help you get a head start on situating your financing plan before you even come into the dealership. Explore your trade-in options with our “Value Your Trade” tool, which can tell you how much your current vehicle is worth. You can also calculate your monthly payment and see which vehicles in our inventory fit your budget. One other finance tool you can take advantage of on our website is our pre-approval application. Apply for financing right from the comfort of your own home. If you’re pre-approved, your whole car-buying process will be expedited, and you’ll be out on the New Mexico roads in no time. To help ensure that your Land Rover is running like new at all times and that you preserve your investment, our dealership features a convenient, on-site service center. Our auto service center is located right next to our showroom, so you know exactly where you need to go when your SUV is in need of maintenance. 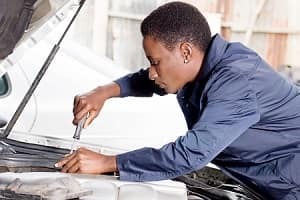 When you bring your vehicle back for all your maintenance and repair needs, it’ll be in the trusted hands of our expertly trained technicians. These knowledgeable and experienced individuals know your vehicle inside and out and can diagnose even the smallest problems your vehicle is experiencing. Even if you prefer to do your own maintenance at home, our multi-faceted maintenance center can help you with that, too. Our service center is equipped with a parts department that offers a wide array of genuine factory OEM parts and accessories for you to choose from. Order whatever you need easily through our online parts request form or over the phone and we’ll have your parts ready for you to pick up in no time. You can also stop by our parts department any time and one of our parts professionals would be happy to help you figure out what you need for your next DIY project. 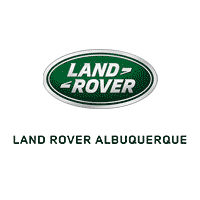 Visit Land Rover Albuquerque Today! As you can see, we at Land Rover Albuquerque don’t stop after we’ve sold the car. In fact, our priorities lie far beyond the idea of selling vehicles. The most important thing to us is the happiness and satisfaction of our customers—no matter why you’re at the dealership, be it to find a car or repair the one you have, we want you to leave feeling good. If you’re on the hunt for a Land Rover near you, get the ball rolling today by browsing our extensive inventory right on our website. Don’t hesitate to schedule a test drive or ask any questions you may have about our many helpful services!